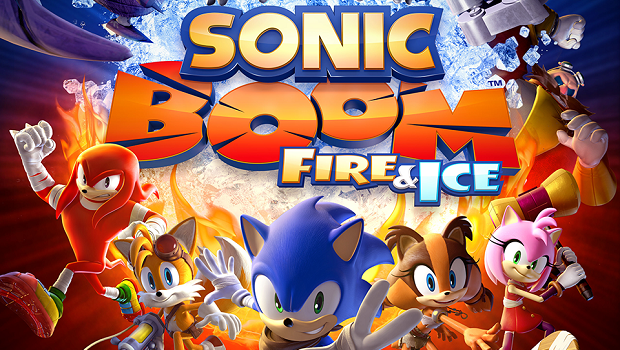 Sonic Boom: Fire & Ice promises a 2D platformer akin to those released in the blue hedgehog’s heyday, with levels that encourage players to choose their own play-style – be it racing through the stages, or exploring and taking the time to discover the ins-and-outs of each level. Hm, where have we heard that before? The game is a follow-up to last year’s Sonic Boom: Shattered Crystal; from the same developer and, again, exclusive to Nintendo 3DS. If you enjoyed last year’s decent – if not bland, uninspiring and mediocre-at-best – return to Sonic’s roots, then you’ll be pleased to hear that the sequel will improve the formula with more gimmicks! As its name suggests, the fire and ice elements will be at play here, with power-ups offering your character special moves and new ways to interact with the environment. Meanwhile as an added bonus(? ), Bot Racing is a new multiplayer game mode which offers players the chance to unlock character-themed Bots (yay?). It’d be harsh to say don’t bother getting your hopes up for the this one… but you probably shouldn’t get your hopes up for this one until we learn more. Sanzaru Games is developing, SEGA will publish, with marketing, sales and distribution to be handled by Nintendo. There’ll be no Wii U version this year. Surprisingly enough! This entry was posted in News and tagged Nintendo, Nintendo 3DS, Sanzaru Games, SEGA, Sonic Boom: Fire & Ice. Bookmark the permalink. I’ll pass. Sega have lost the plot when it comes to their mascot.